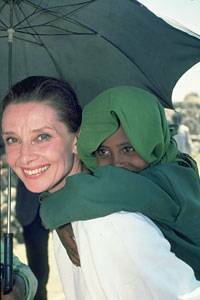 I love Always, and I love Audrey Hepburn! Audrey Hepburn was so cool. "Who is the most beautiful woman of all time? My wife, of course." That was really sweet, Dr. Youn! You have a very nice blog. Congratulations! I don't think Audry Hepburn had plastic surgery but it is possible. I know that she suffered from anorexia. I understand that when she was in her early adolescent years she became determined never to gain a pound more than what she weighed at the time and that was 103 pounds and she managed to never weigh more than 110 pounds except when pregnant. At 5 foot 7 inches that is extremely thin by any estimation. She also didn't worship the sun and I am sure that helped quite a bit. She also chose to live in Europe where women take very good care of their skin. All of these characteristics - being stick thin her entire life and avoiding the sun, contribute to her general good looks in her late age.